On May 10, 2018, the vast dome of the internet rang with the cacophony of countless voices, as TV lovers everywhere suddenly sang out as one. It was a moan of grief, a keen almost, and that cry became a plea. “O television gods,” they wailed, “Why have you forsaken us? Hear our cry: Do not let Fox’s destruction of 'Brooklyn Nine-Nine' come to be.” Some 31 hours later, those prayers were answered. The “Nine-Nine” lived on, and there was much rejoicing. Huzzahs abound! Drinks for everyone! Nine-Nine! This is the moment at which some uncomfortable surprise would arrive, leading to a classic Jake Peralta “whoops” face and a smash cut to the credits. That such moments can be easily predicted isn’t a failing of Dan Goor and Michael Schur’s beloved sitcom, which begins its sixth season on Thursday, airing for the first time on NBC. Routine, tradition, and repetition have always been key to “Nine-Nine’s” DNA; like many a great workplace sitcom, the day-to-day sameness is the wine through which effervescent variation bubbles. The Halloween Heist is always the same, and always different. Charles prefers “Turkey Day” to “Thanksgiving,” and as Terry would tell you, “Terry says, ‘Why? !’” It’s familiar and familial, comforting and maddening. All change is gradual, but the variation is positively endless. In the two enjoyable episodes provided to critics, the detectives, sergeants, and captain of Brooklyn’s 99th precinct find plenty of variation, but there’s a lot of disruption, too—another thing that Goor and Schur’s sitcom does very well. Previous seasons have begun with witness protection; a prison stint; a string of new captains; with an undercover operation and the fallout from a romantic declaration. 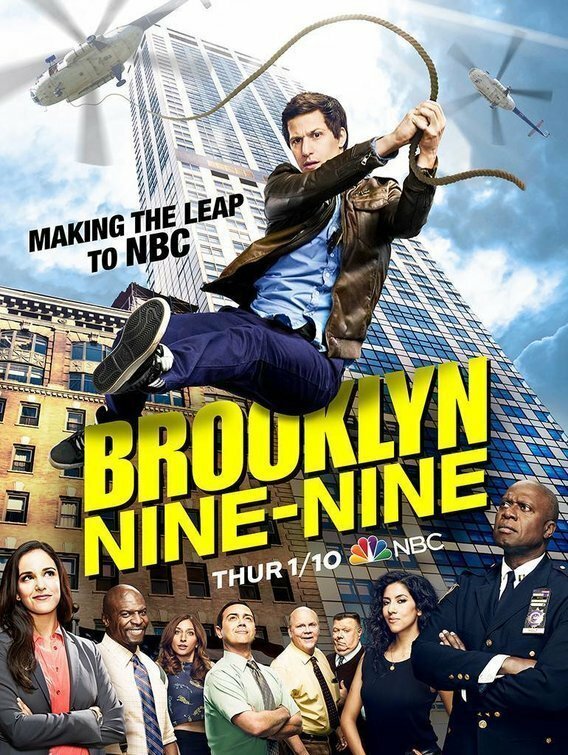 The sixth season picks up exactly where the fifth left off, with the newlywed Jake (Andy Samberg) and Amy (Melissa Fumero), as well as the rest of the precinct, waiting on tenterhooks to find out if Captain Holt (the invaluable Andre Braugher) has been named the new Chief Commissioner of the NYPD. That’s not something this review will give away, but it’s fair to say that either outcome could dramatically change the dynamic in the bullpen; as such, it’s fitting that even a season that doesn’t begin with any of the characters in life-threatening situations feels somehow unfamiliar and chaotic. Some of that’s due to unfamiliar settings. The first episode, “Honeymoon,” centers on exactly what you’d expect, splitting its time between Jake and Amy’s time away from the precinct and the friends they temporarily leave behind. The second jumps a bit in location, but more so in time, moving back and forth a bit between the present and an earlier chapter in the lives of “Brooklyn Nine-Nine’s” brightest stars, Hitchcock (Dirk Blocker) and Scully (Joel McKinnon Miller). The latter is actually the most unfamiliar. In the frustratingly few (though a good kind of frustrating) flashback sequences, we’re suddenly living inside “Miami Vice.” While the style may be unfamiliar, the commitment to embracing the weirdness is classic “Nine-Nine.” Also typical of the series (and both of the other shows he created or co-created): A commitment to the emotional realities of the characters that never wavers—even Hitchcock and Scully. While the silliness of this series may be the thing for which it’s best known—just think about the lineup singing “I Want It That Way”—it’s that emotional honesty that has granted “Brooklyn Nine-Nine its staying power. Its swings aren’t as big as those of fellow Schur sitcoms “The Good Place” and “Parks & Recreation,” but whenever Jake finds a way to grow, Captain Holt lets his armor down, Rosa (Stephanie Beatriz) allows herself to feel something, “Brooklyn Nine-Nine” reaches its highest heights. In these early episodes, the series takes that a step further, interrogating the motivations behind inspirational speeches or the ways in which the questionable actions of a questionable can be revealed to be honorable, and that honor and creepiness can co-exist. It’s ambitious, in its quiet, goofy way, and a sign that the series is headed in a terrific direction. “Brooklyn Nine-Nine” has always been goofy (and often terrific), but quiet isn’t a word that’s often associated with the sitcom where Andy Samberg makes lots of loud screamy noises due to joy/fear/anger/dread/to interrogate criminals. Yet there’s something almost tentative about the beginning of this sixth season, a gentleness that might be just a little bit cautious. That’s not to say that the jokes aren’t funny—they are, in the first episode in particular, which contains several subtle but glorious costume-related sight gags—but it’s a bit subdued. The upside is that the aforementioned emotional honesty comes through loud and clear, but one hopes that “Nine-Nine” will get a bit more of its usual pep in its step as the season progresses. Yet if the writing and direction don’t always benefit from the subdued tone, the performances, and Braugher’s in particular, absolutely soar. Every member of the cast has timing that’s as good as ever, but in the first episode, Braugher wields the show’s popcorn-cooking patter like a scalpel, filling every pause with a level of tension and emotion that makes each punchline land to even greater effect. It’s one of television’s best performances, and in this year, it’s better than ever before. The feeling these two episodes most strongly evoke, however, is gratitude that they exist at all. It might seem unfair to credit the show with the emotion created by circumstances outside its fictional world, but the outpouring of affection for this series has been earned over years of consistent, giddy, compassionate storytelling. One is fervently grateful to see it back because it’s earned that affection, and that’s not something every series can boast. And this is the part when you realize that a sixth season renewal doesn’t guarantee a seventh season renewal. Here comes the loud screamy noise, and smash cut to the closing production logos. Never change, “Brooklyn Nine-Nine,” and keep on changing. First two episodes of season screened for review.